Long-term data of local bird communities have shown changes over the past few decades due to anthropogenic pressures, especially in temperate regions. However, we lack information on bird community change in many parts of the world, including hot and dry, desert areas that are also exposed to human activities. 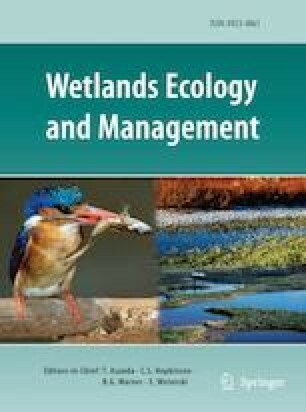 We analysed unique time series data of wetland bird abundance spanning over 26 years (1987–2012) collected at an important stopover for long-distance migratory birds, Taunsa Barrage Wildlife Sanctuary, a Ramsar Site in Pakistan. During the monitoring period, species richness of the community had increased over time, but there had also been community turnover. Many species (25/58) had increased in abundance while a few had decreased (4/58). We also found that winter and spring temperatures were positively associated with abundance changes at a community-level, suggesting that some species might have benefited from increasingly warmer temperatures. We assessed whether species attributes such as body size, diet preferences, habitat preference, temperature niche, and range size explained intraspecific variation in species’ population trends. However, most of the species attributes were not important. There was some indication that larger-bodied species had increased more than smaller-bodied species but there was no evidence of a community shift to more generalist species. Given anthropogenic change in this region, our findings suggest that many species are able to persist at this site but on-going monitoring and management of this wetland is essential. The online version of this article ( https://doi.org/10.1007/s11273-019-09665-4) contains supplementary material, which is available to authorized users. We are grateful to Mr. Muhammad Saeed, Mr. Muhammad Ashraf and Mr. Muhammad Saleem, officials of Punjab Wildlife Research Institute Faisalabad, for their help in data collection. We are also grateful to Mr. Hassan Ali for providing the study map. IK and DB conceived the study; IK and DB conceived the analyses. Field work was done by MIA, AHG, AAC, MAM and MA. IK and DB wrote the draft with contribution from others.